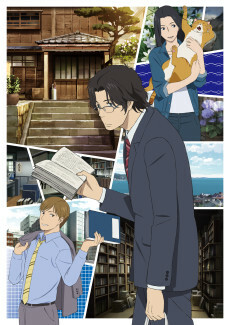 The series follows the employees at the Genbu Shobō publishing company. Araki, who is a veteran editor for the dictionary department, is looking for a successor now that he's approaching retirement age. After Majime Mitsuya — a salesman who's a poor talker — meets Masashi Nishioka — Araki's coworker who is sociable and frivolous — Araki overhears their conversation and decides to recruit Majime into the department. The story follows "the awkward humans" Majime and Masashi as they work together to compile a medium-sized Japanese dictionary titled "The Great Passage" (Daitokai).